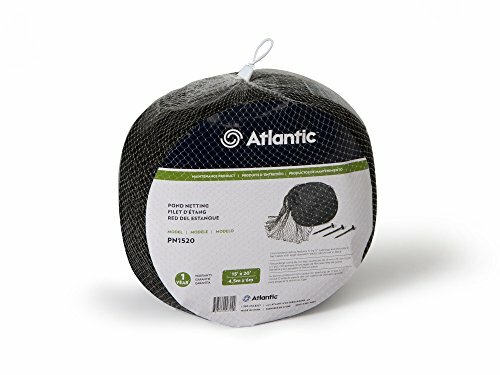 Keep your water feature clear of debris with Atlantic’s Ultra Pond Nets, constructed of heavy-duty UV-resistant polypropylene. The ½”x ½”opening keeps debris out while allowing sunlight and fresh air to enter. Includes 12 plastic stakes to securely fasten pond netting down around your water feature. Each net comes with a 1 year warranty.